Regular Price $197 --> Now 25% OFF! You've heard that flash sales are a great way to bring in a fast influx of cash into your business. You've got a product or service you're ready to sell, but you aren't exactly sure how to pull it off without burning out your list and getting a pile of complaints. After all, your audience hates "salesy" emails and the last time you sent an offer, instead of a flood of profit, you got a bunch of hate mail about how pushy you are... no bueno. It's all good... we've all been there. But after years of testing and tweaking, we've got a formula that's proven to bring in sales. Without turning your email subscribers into a rabid pack of haters. Regularly $197 ---> That's 25% OFF! Email isn't your only channel when it comes to getting great results with your flash sale. You also need a solid social media strategy. That's why we've included 50 Done-for-You Social Media Templates... so that you can blanket all of your channels at the same time so that everyone in your audience knows about your sale. No need to hire an expensive graphic designer... just add the date of your flash sale and the link to your sales page and you're ready to rock! We've included sizing for Facebook, Twitter and Instagram posts, as well as your Facebook event and header graphic, YouTube Channel Art, and Twitter Header Graphic. Not only does that save you a pile o' cash (more than $500 in graphic design fees!) but it also means, you can prepare and run flash sales for all your favorite holidays this year without spending another dime. From Labor Day, to Black Friday, New Year to 4th of July, simply adjust the copy to suit the holiday and you're ready for your next profitable flash sale! d) you're scared to pull the trigger and sell to your list because you're afraid to be too "salesy"
If any of this sounds like you - we've got you covered! 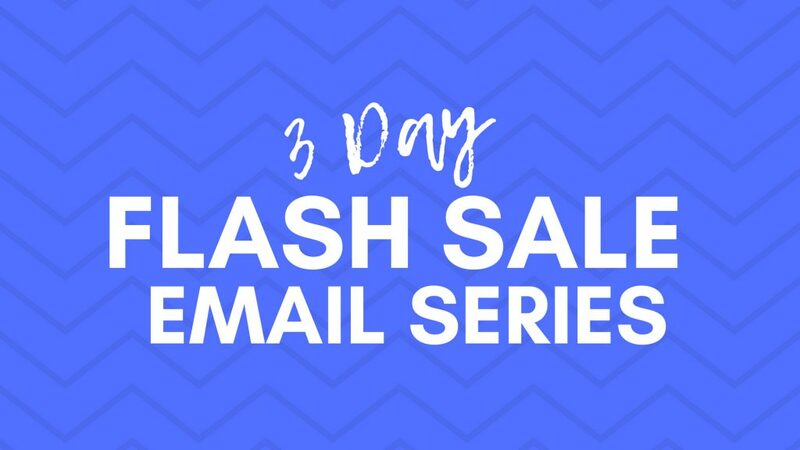 Whether this is your first flash sale, or you're an old pro looking for a fresh new message from someone you can trust, you're going to love our 3-Day Flash Sale Templates! Get our proven series of 8 deadly-effective flash sale email templates. Templates are provided in both Word & PDF format and include the optimal timing to ensure great results with your sale. Get access to step-by-step online training that shows you exactly how to tweak the flash sale email templates to your offer and voice. Learn how to set up your flash sales to create a flash sale that won't send your audience running for the hills. Don't limit your Flash Sale just to your email subscribers. 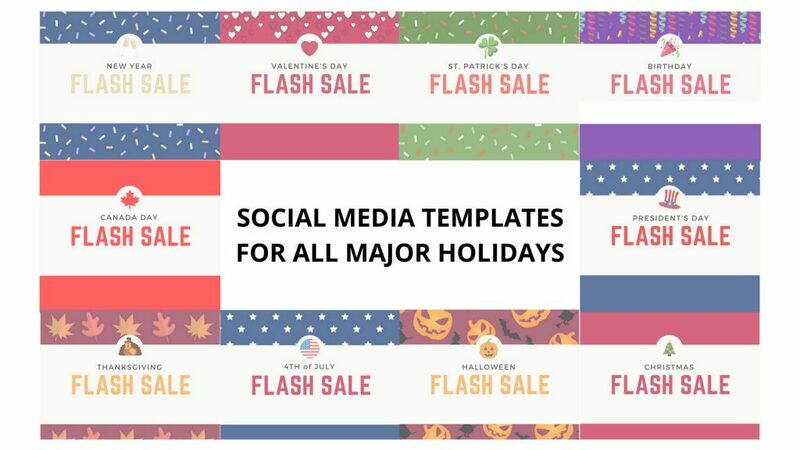 Use our Social Media Templates to entice your social media followers to buy your flash sale. $200 Value. Seasonal Flash Sales are a great way to bring in profit in spurts. But did you know you can run an "evergreen" flash sale that allows you to profit consistently all year long? Discover how you can install this incredible profit machine in your business. $250 Value. QUESTION: What format will I receive the templates in? ANSWER: These email templates come in both PDF and Word (.docx) format. That way you can edit directly in the document, but can also refer back to the original PDF if you accidentally overwrite the Word document. QUESTION: Can I use these templates in my clients' marketing? ANSWER: Yes, if you're a virtual assistant or marketing pro and want a fast and simple way to get your clients marketing up and running without having to start from scratch every time you are welcome to use these templates. QUESTION: Are these templates Private Label Rights Content (PLR)? ANSWER: No, you do not have permission to resell these templates, either on their own or as part of a larger package. They are intended for use only in your own business. You can, however, use them as part of a service you offer. QUESTION: What if I don't have Word... Can I still use these templates? ANSWER: Yes, this document format can be opened by Open Office, a free software that can be downloaded on any Mac or PC. ANSWER: We offer a 30-day guarantee. If you can show me that you've run a flash sale using these templates and they didn't work for you, I will refund your money.